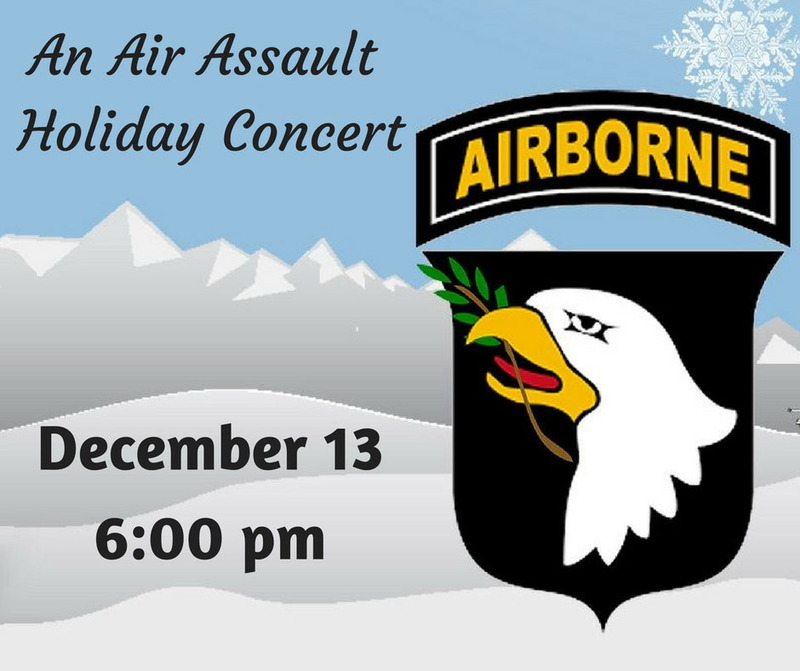 Clarksville, TN – The 101st Airborne Division Band from Fort Campbell, KY will be performing in the atrium of the Clarksville-Montgomery County Public Library at 6:00pm on Tuesday, December 13th. The show will feature several different types of musical groupings including a brass quintet and a jazz combo for an hour-long concert. Musical offerings will be holiday standards played both traditionally and with a jazzy flair and with vocal performances by band members. Please join us at the library for what is always a festive evening for the whole family! The Clarksville-Montgomery County Public Library champions learning and reading, ignites imaginations, and delivers access to information and ideas. 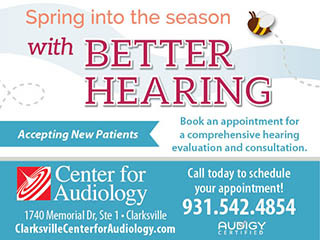 The library is located at 350 Pageant Lane #501 in Clarksville.